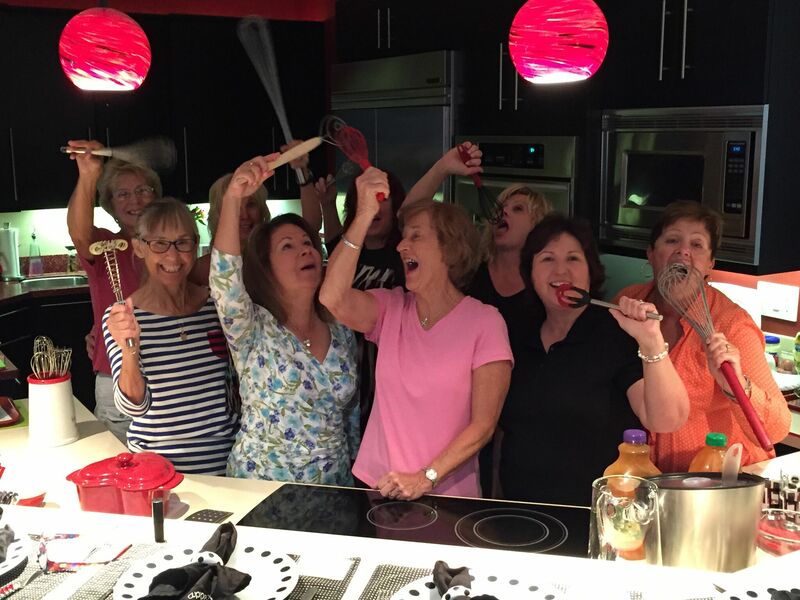 What happens at a typical cooking class? Participants are seated around the counter and presented with a copy of the recipes to be featured in the class. 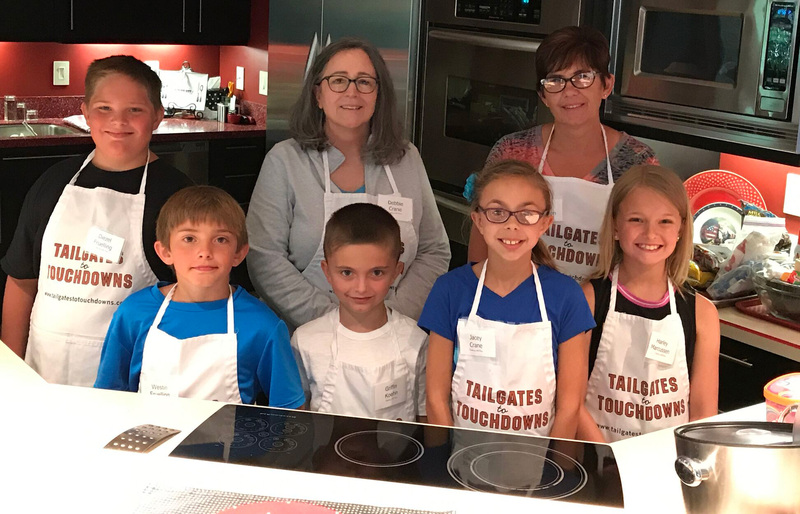 Then, Nina demonstrates each recipe, offering nearly a full serving of every item prepared in the class (except for special groups of 20, when smaller portions will be served) – along with an accompanying beverage. Most classes offer many extra “tastings” of ingredients used in the recipes. Classes are highly interactive, non-threatening and very entertaining and fun. Participants are encouraged to ask questions about the techniques and recipes. What types of classes does Nina teach? Each month, Nina develops a schedule of classes offered to anyone interested in learning more about cooking and baking. Nina enjoys teaching people how to have more success in the kitchen. Both demonstration-style and hands-on cooking classes are available. 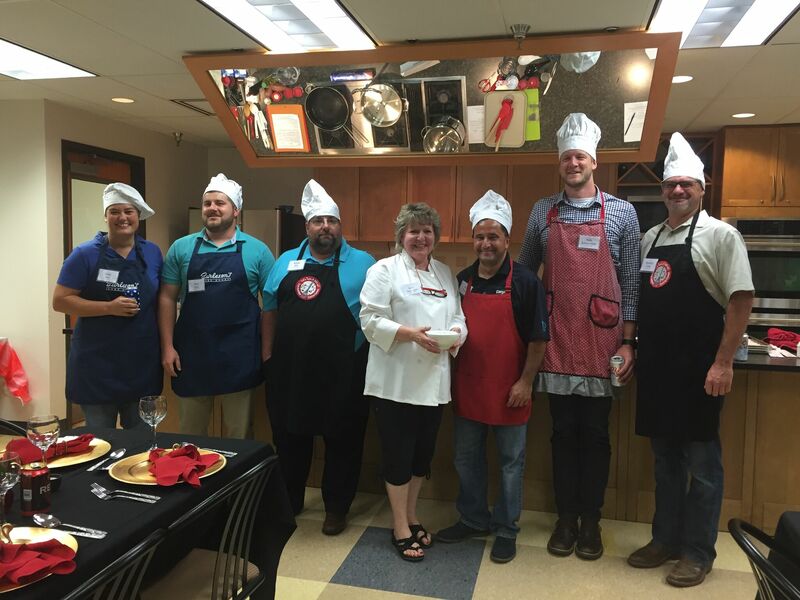 What is a demonstration-style cooking class? Nina demonstrates how to make each recipe and shares tips and techniques as she is cooking or baking. Once she completes the recipe, she serves it to class participants to eat and enjoy. Participants sit at the counter and watch the demonstrations and are up-close and personal so they can see everything. 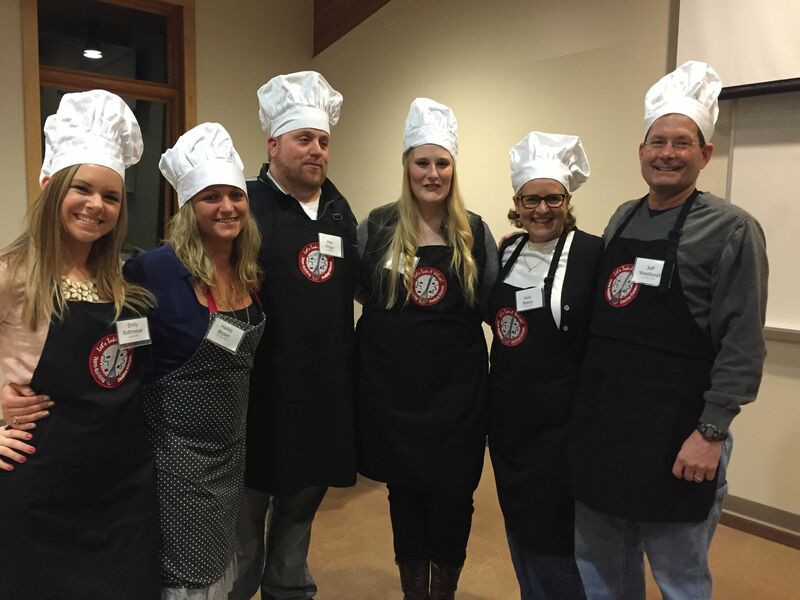 What is a hands-on cooking class? Nina will demonstrate a few techniques, then allow you to prepare the foods with her assistance in her kitchens to make the recipes yourself. How can I receive the schedule via email? Monthly schedules are sent via email to the current list of people who have signed up to receive the schedule. 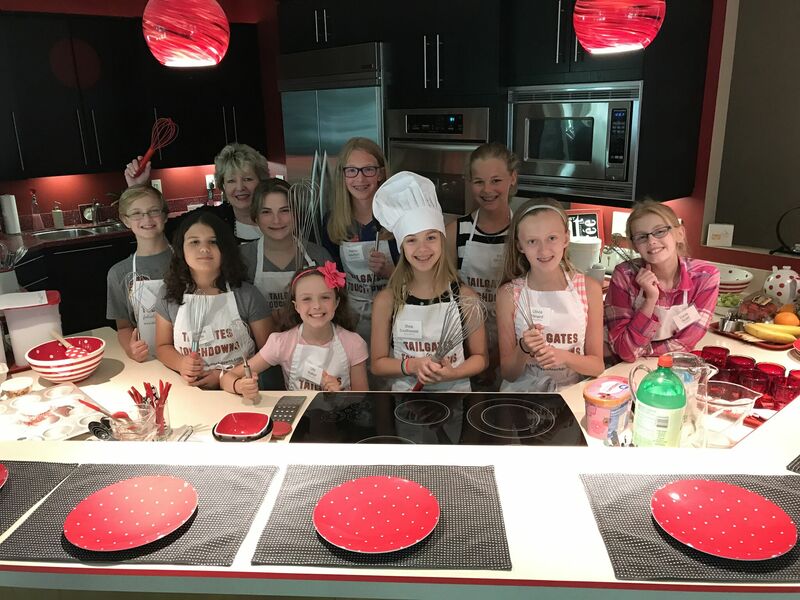 If you would like to sign up to be included in this mailing, please call Nina at (319) 393-7675 or send Nina an email at nina@cookingwithnina.net. A variety of cooking classes are offered each month. Some include recipes for a complete meal for example, the menu may include a beverage, an appetizer, or a soup or salad, an entrée and side dish, plus a dessert. Other classes are one-subject classes for examples, yeast breads, cheesecake, pies, cakes, salads, appetizers, etc. When are Nina’s classes held? Most classes are scheduled from 6:00 to 9:00 p.m. in the evening, however, some daytime classes are offered from 11:00 a.m. to 2:00 p.m. For groups of eight or more, Nina will offer classes at special times to meet your group’s schedule. Please call to make special arrangements. Does Nina offer classes for special dietary restrictions? Nina offers classes for people who have celiac disease – or a need for gluten-free foods. Check her schedule for the classes marked with (GF) for gluten free. She also offers various vegan, vegetarian, low-carb, low-calorie and low-fat classes. 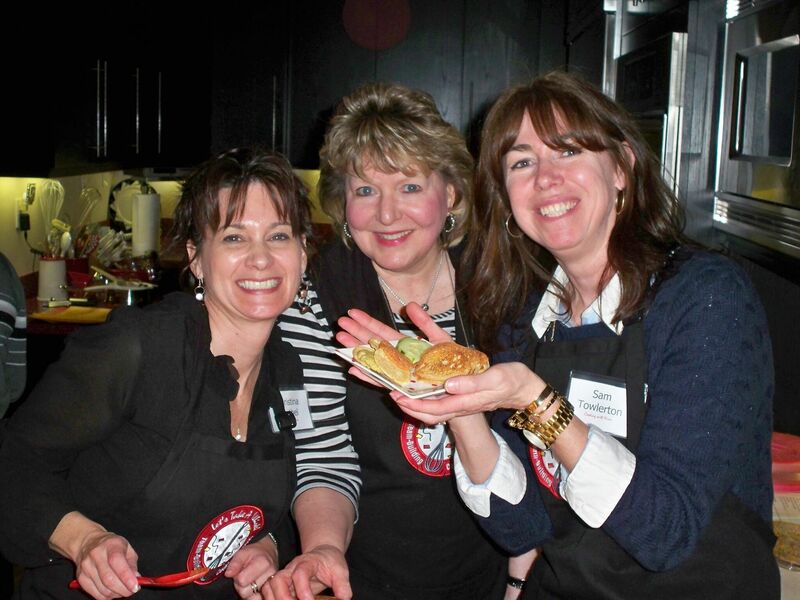 How can we host our own cooking class party? Simple pick up the phone and call Nina at (319) 393-7675 to schedule your class. Together, you can select your own date and menu. Then you can invite your friends to join you for your own class – customized to fit your needs and budget. You can choose from a list of class options. Call or send an email to request a list of options. 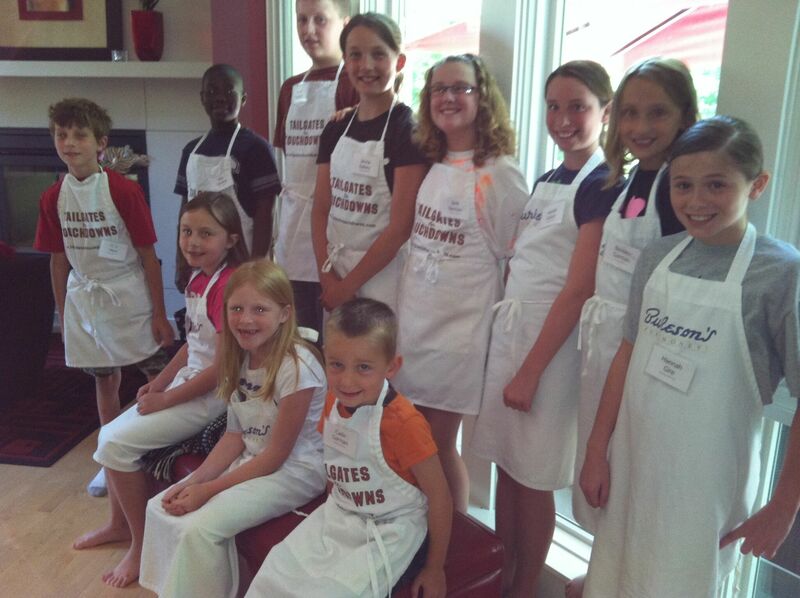 Consider having a cooking class party to celebrate your birthday or a child’s birthday or a wedding or baby shower. 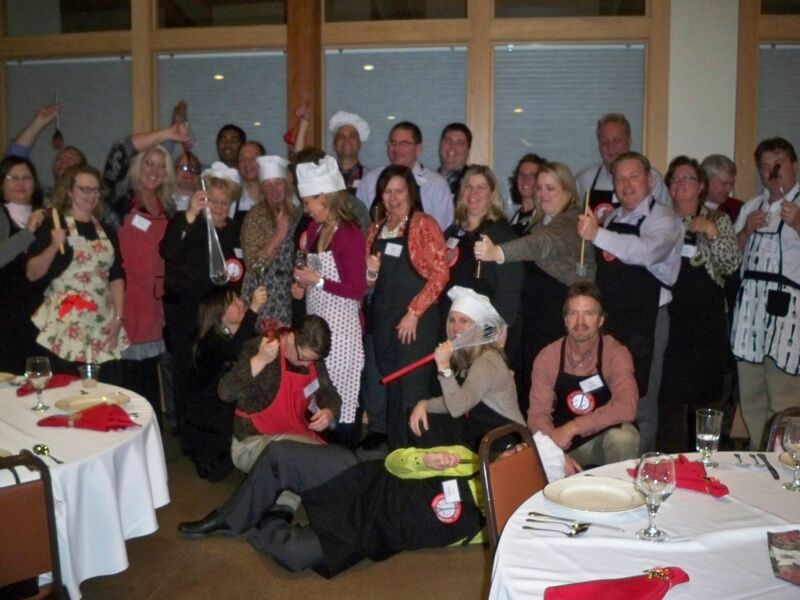 Perhaps your group or organization would like to take a cooking class together as a fun activity. Or, bring your office mates for a “team building” classes. See my special page with more information. How many people can attend a class at a time? Ten people can sit comfortably around the counter, however for special groups, classes can include up to 20 people. Team-building classes can accommodate up to 20 people in my home, however, they are also available at other venues. To register for a class CLICK HERE, call: (319) 393-7675 or email: swankohler@cs.com. How can I purchase a gift certificate for Nina’s classes to give a friend? Did you know that Nina offers perks? Perk #1: When you bring a friend that’s new to Nina’s classes, Nina will give you a $5.00 coupon to use in her boutique as a thank you for telling your friends about the classes. 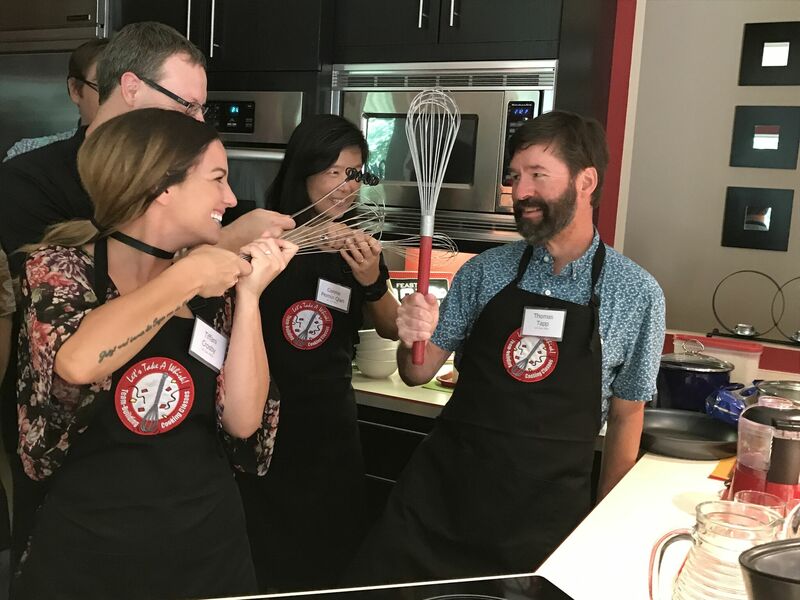 Perk #2: When you schedule a special group of ten or more people to come to a cooking class, then your class fee is free. Scroll through the image gallery below!